Many divers want to explore new dive sites, find new places, things to see and this is an excellent area to do it. This island was first introduced to the western world by Christopher Columbus in 1492 and he declared it as the most beautiful island in the world. Hispaniola became a major base for Spanish conquest, later for French colonization and then the island became regular stop for Caribbean pirates. 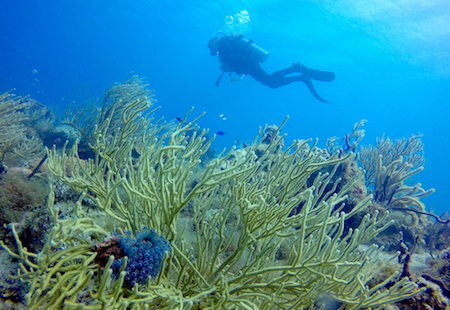 Dominican Republic is a great area to dive and explore. There are about 200 shipwrecks around. Some galleys might be even from 17th century, most of the wrecks have never been explored. Have you been scuba diving in Bayahibe area many times and would like to discover something new? Go to places that regulars dive shops don’t go to? Or find a dive site for the other divers to enjoy too? These are usually two or three tank dives guided by Sharky’s Crew, the PADI certified professionals. If you would like to join us for exploring dives Contact Us! Book your next scuba diving vacation with some fun exploring.